We all use gadgets in our lives, especially laptops. And when they get old, it’s not easy to get rid of them. Also, throwing them to trash is not an environment-friendly option as they are made up of metallic parts that can produce harmful chemicals if not handled properly. 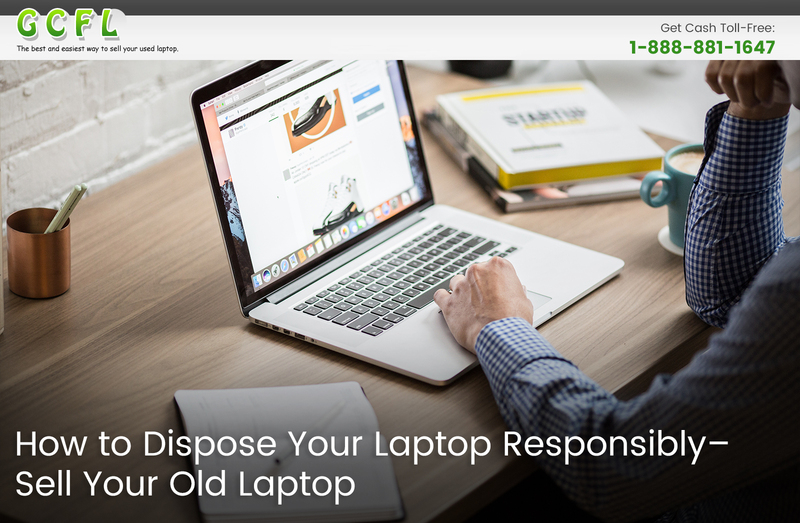 So,how you can responsibly dispose of your old laptop without affecting the environment. Luckily, there are some online vendors where you can sell old laptop easily. But, it’s important to know some things before disposing or selling old laptops. Before disposing or selling old laptop, make sure you wipe out entire data from it and create a backup in a hard drive. If the data from the hard drive is not recoverable, then perform a factory data reset to format the hard drive. If your laptop is functional, then it might still work fine if you replace the necessary parts of a laptop. However, there is no guarantee that it will work for a longer period. Also, replacing parts might cost a higher amount than usual. One of the best ways to dispose of old laptops is to sell old laptop for cash. You can easily find an online vendor that accepts old laptops. However, getting a fair price for your old laptop might not be that easy. Therefore, choose GetCashforLaptop, where you can even sell old laptops for a reasonable amount. GetCashforLaptop is a reputable online vendor that accepts even broken laptops. You can sell laptop of any brand or any condition, just by submitting a quote on our website. So, don’t throw your old laptop in the trash, instead sell old laptop for cash to GetCashforLaptop.